Leading Manufacturer of microscope for ent treatment from Ambala. Surgical ENT Operating Microscope finds application for surgical applications involving Ophthalmic eye surgery, Neurosurgery, Nose, ear and throat surgery. For delivering optimum performance support, these are made available with stand heavy weight H-shape base with lockable castor wheel support. Other than this, the swivel arm comes mounted on pillar so as to deliver optimum functional support in defined processes. 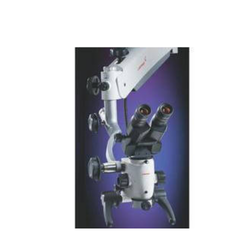 Looking for Microscope For ENT Treatment ?